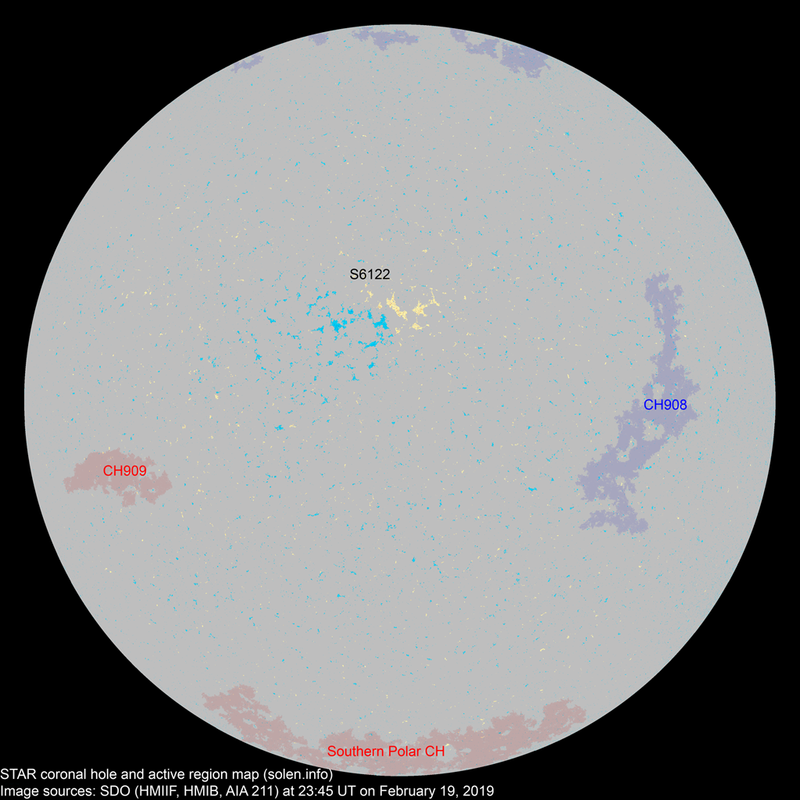 Last major update issued on February 21, 2019 at 16:15 UT. The geomagnetic field was quiet on February 20. Solar wind speed at SOHO ranged between 271 and 405 km/sec, increasing during the latter half of the day due to effects from CH908. At the time of counting spots (see image time), spots were observed in 3 active regions using 2K resolution (SN: 37) and in 2 active regions using 1K resolution (SN: 23) SDO/HMI images. S6122 [N07W12] was quiet and stable. New region S6123 [S34E02] emerged as a solar cycle 25 region. New region S6124 [N07E21] emerged with a tiny spot. 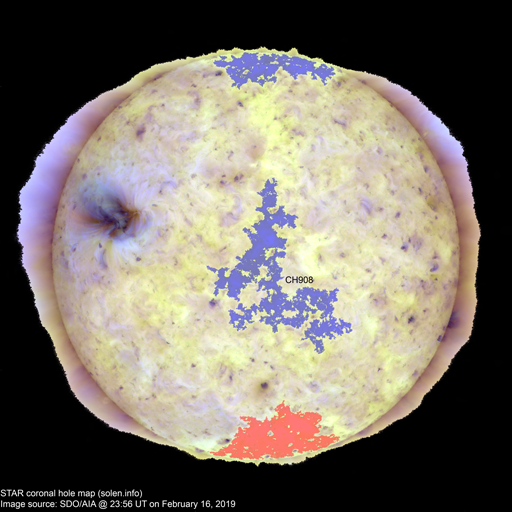 A trans equatorial coronal hole (CH908) was Earth facing on February 15-17. A southern hemisphere coronal hole (CH909) will likely become Earth facing on February 23-25. The geomagnetic field is expected to be quiet to unsettled on February 21 due to effects from CH908 and quiet on February 22-23.